FreshLoc’s temperature monitoring of refrigerators, freezers, and warmers is vital to ensure patient safety, as well as to remain compliant with medication management standards and reduce potentially costly product loss. FreshLoc gives healthcare professionals a customizable solution, allowing the user to monitor and document a range of information such as temperature, pressure, humidity, and other important measures, depending on the sensors installed. Upon logging in, the user can view refrigerator groups and their current status, obtaining a snapshot of which refrigerators are in and out of range. FreshLoc’s system can record temperatures at configurable intervals (eg, 2 or 15 minutes) to ensure that medications are stored at the appropriate temperature and that the equipment is working properly. This feature is useful in maintaining regulatory compliance, especially when clinics are closed and staff members are not available to check and record the unit temperatures consistently. Considering the average value of medications in hospital refrigerators, the use of FreshLoc’s system can serve as insurance against costly medication loss due to mechanical failure. The valuable information gleaned from a FreshLoc system not only helps to identify low-performing refrigeration, freezer, and warmer units when considering equipment replacement, but also provides additional justification for upgrading from nonmedical-grade refrigerators to medical-grade units, consequently improving medication safety and patient care. 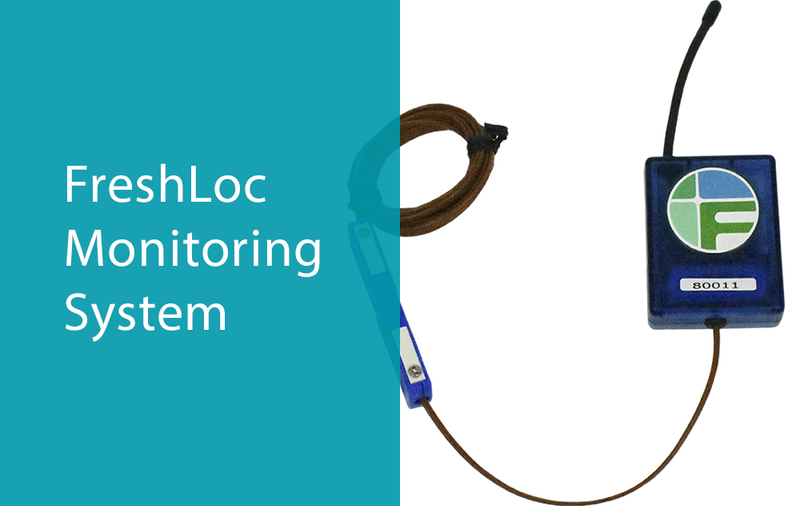 The FreshLoc temperature monitoring system is perfect for customers looking for a quick, cost-effective way to move from manual monitoring to an automated, verifiable system.